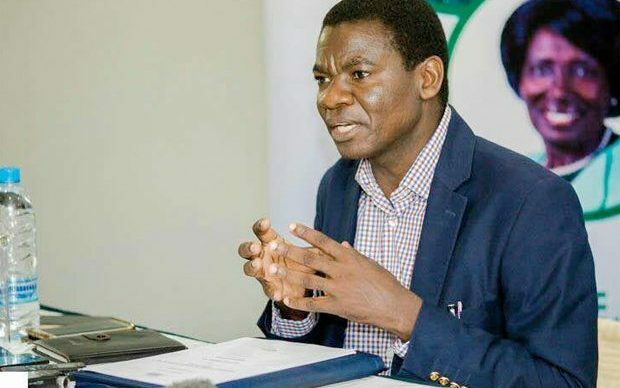 GENERAL Education minister David Mabumba has banned restrictive user fees, saying pupils should pay in instalments in order to enhance access to quality education. And Mabumba said during a ministerial statement to parliament that pupils whose parents were engaged in subsistence farming would be allowed to pay using their produce such as maize, goats, beans to settle user fees. “In order to mitigate financial constraints or difficulties in raising the approved fees which some parents or guardians may experience, school authorities should allow such pupils to pay their user fees in installments,” he said. “Pupils whose parents are engaged in subsistence farming can be allowed to pay fees in kind, e.g. a bag of maize or beans, goats, rice etc. which the school can translate into cash”. Mabumba also announced the revision of user fees guided by the principle of the needs of the schools and their locality. The pupils in grades 8 to 12 shall now pay K150 user fees in schools in remote areas while K200 shall be paid by pupils in other schools per term. On boarding fees, Mabumba directed that pupils should pay an amount not exceeding K1, 000 per term while schools charging less than K1, 000 were at liberty to maintain their current fees. “With this guidance, no additional charges should be demanded from learners either in cash (administration fee, affiliation fee, registration fee, practical fees, computer fees, learning material fees etc.) or in kind (cement, realm of paper, cobra, paint, slasher, hoe, mattress etc),” ordered Mabumba. And Mabumba banned project fees unless there was a compelling need to undertake a project at school and permission needed to be sought from the Permanent Secretary through their District Education Board Secretaries and Provincial Education Officers. “A good and clear justification supported with documentary evidence should support the application as earlier guided,” he said. Mabumba told the house that it was the responsibility of government and other stakeholders in education provision to ensure that education was accessible to all. “In achieving this aspiration, the government has made efforts to make education affordable to all eligible learners by reducing or completely doing away with school fees that were identified as one of the barriers to accessing education at various levels” he said. Mabumba said the Ministry had the responsibility to regulate the fees and in January, 2016 a circular on GCE and user fees in grant aided and public schools which guided on the scale of fees to be charged was given. He, however, regretted that despite the guidance given, schools had continued to charge high fees, which had attracted numerous complaints from the public and other stakeholders over high school fees. Mabumba hoped that the new measures would help address the disparities in the school fees that schools had been charging while warning that the Ministry of General Education would not take kindly to any school Head teacher who will not adhere to the directives. The revised school fees come into effect in the second term of 2019.